The R48 7 Kicks Off in Atlanta! The R48 7 Kicks Off in Hotlanta! 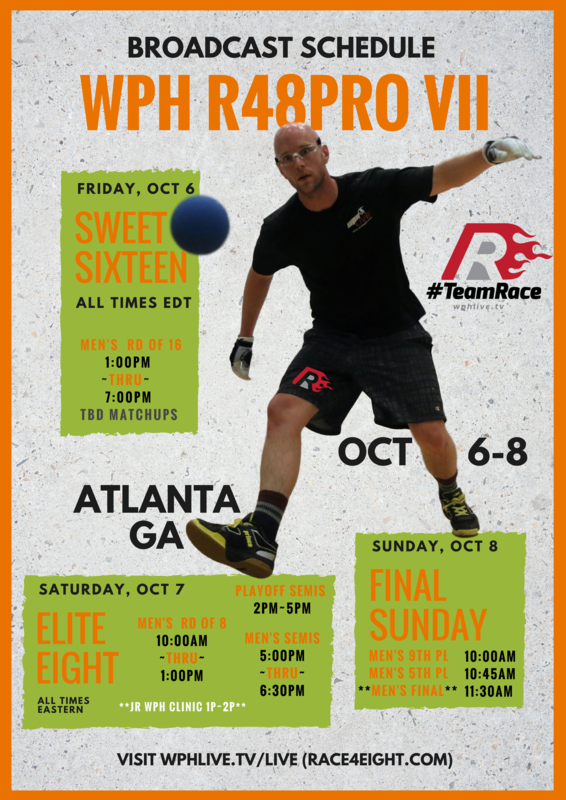 Atlanta, GA, WPH Press, 9/28/17- The WPH Race 4 Eight Tour is thrilled to return to Atlanta for the first time since 2012 to host the Ron Cook Peachtree Open/R48 7 Stop #1, presented by E4, at the RecreationATL, located at 754 Beaver Ruin, Rd., Lilburn, GA 30047 from October 6-8, 2017. The Ron Cook Peachtree Open/R48 7 Stop #1, presented by E4, will feature nine of the top 10 ranked pros on the Race 4 Eight tour, as well as a deep qualifier draw with players from California, Arizona, Minnesota, Tennessee, Georgia, New York, and Ireland in the first event of the R48 7 season. Top locals and regional players will also compete at the Ron Cook Peachtree Open in singles and doubles brackets. Race 4 Eight #1 Killian Carroll (IRE) ended the 2016-2017 Race 4 Eight 6 season with three victories in his last four starts, including winning the WPH R48 Player’s Championship for the second consecutive year. 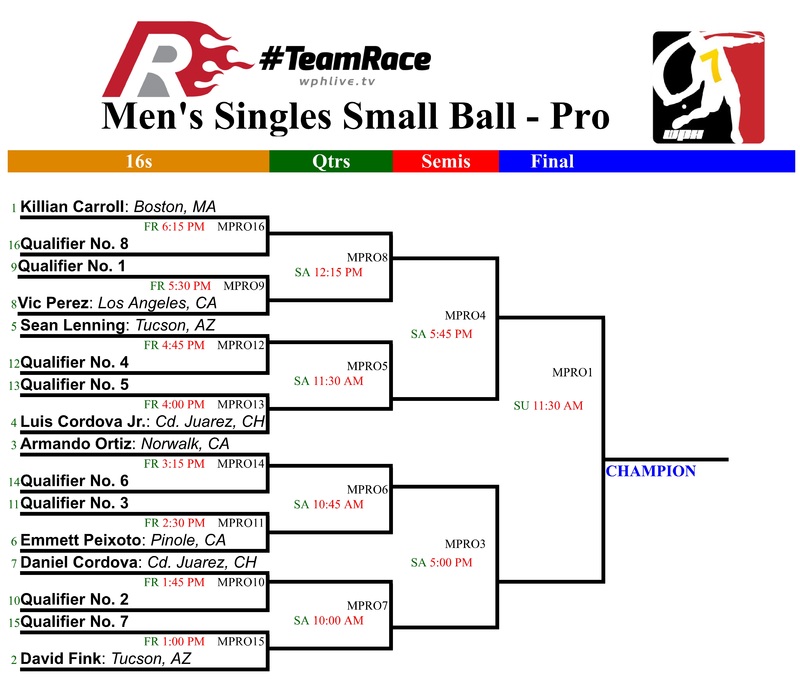 Carroll will enter Atlanta as the favorite, but will have to contend with Race 4 Eight Elite 8 peers David Fink (AZ), Mando Ortiz (CA), Luis Cordova (GA), Sean Lenning (WA), Emmett Peixoto (CA), Daniel Cordova (GA), and Vic Perez (CA). 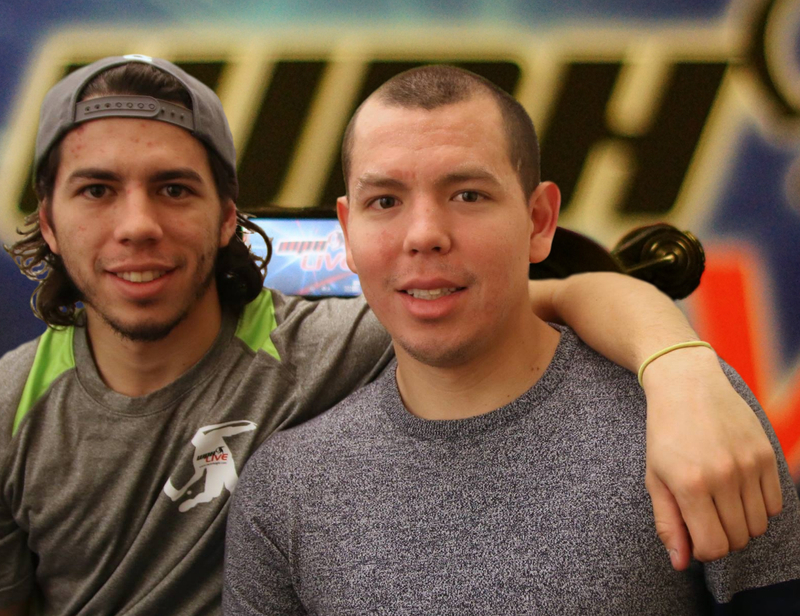 Race 4 Eight Elite 8 brothers Luis and Daniel Cordova call Atlanta home, with both playing and training out of the RecreationATL. The Cordovas will have the home court advantage, giving them a huge advantage in the season’s first stop. Daniel earned R48 Rookie of the Year honors in 2015 and has maintained his Elite 8 ranking since his maiden season. Luis broke into the R48 Elite 8 as a 20-year old and enjoyed his breakthrough season during the Race 4 Eight 6 season, advancing to the semifinals and finals in his last two starts to end last season and reach a career-high #5 ranking. “I’m feeling really good and I’m excited about the season,” stated Luis. “I’m looking forward to playing a home game in Atlanta. WPH RACE 4 EIGHT: The World Players of Handball’s Race 4 Eight 7 Powered by ESPN features seven stops, culminating with WPH R48 7 The Player’s Championship. Similar to Nascar’s Nextel Cup and the FedEx PGA Playoffs, players earn points in the Race 4 Eight’s first six stops to qualify for the season-ending Player’s Championship and bonus prizes. Atlanta, GA will host the first stop of the season, followed by stops in Tucson, AZ, Missoula, MT, Las Vegas, NV, Houston, TX, and New York City, NY. Salt Lake City, UT will host the Aces Player’s Championship for the fourth time to close out the R48 7 season.